I am blessed to receive your mail on this auspicious day. unfortunately when I clicked the download link it goes to archive.org sit eand again clicked on pdf, then a message staing that the document is not available. I checked the download link just now. I works fine. There is no difficulty in downloading the pdf. Please let me know if you are not used to download files from archive.org. I will try to help you. than you for your prompt reply. I tried again and getting the same. When you click the download link given at the bottom of the blog post, a page from archive.org will open. In the left hand side on that page, there is a box with links to ebook file. You can right click the PDF link and save the file. Or if you face any difficulty, I give below direct link to the PDF. Thank you for your effort to provide devine literature to devotees like me. Kindly note this pdf (ശ്രീശിവസഹസ്രനാമസ്തോത്രം നാമാവലിസഹിതം”) cannot be downloaded. I can not download these pdf formats. They are not in malayalam fonts.Kindly help me. Please download the file again and see. Hundreds of visitors have downloaded the file. This is the first time I hear something like this. Are you able to read other files from this blog? Thank you for your effort. Please be noted that note this pdf cannot be downloaded and its showing a broken link. I checked the link just now. It works without any problem. More than 200 persons have downloaded the file. You may try again. Can I Get Sree Hanuman mahatmyam or any other related in Sree Hanuman. Sir i down loded pdf.Thank you a lot. Kindly advice me how to read and pracice the stortha. Which part of pdf to be read regularly. Many thanks for sharing the valuable piece of content. 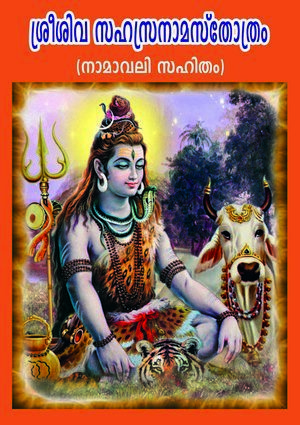 Do you have digital version of Srimad Bhagavatham written by Thunjathu Ezhuthachan (Malayalam)? You can download Srimad Bhagavatam of Ezhuthachan from the link given below.